DJI has become known for offering some of the best gimbal setups for video creators, and its latest product is quite promising. The new Osmo Pocket, which leaked earlier today, is a 12-megapixel camera that can shoot 4K video at up to 60 frames per second. And, as its name suggests, one of its main traits is that it’s small enough to fit in your pocket — so long as your jeans aren’t too skinny. 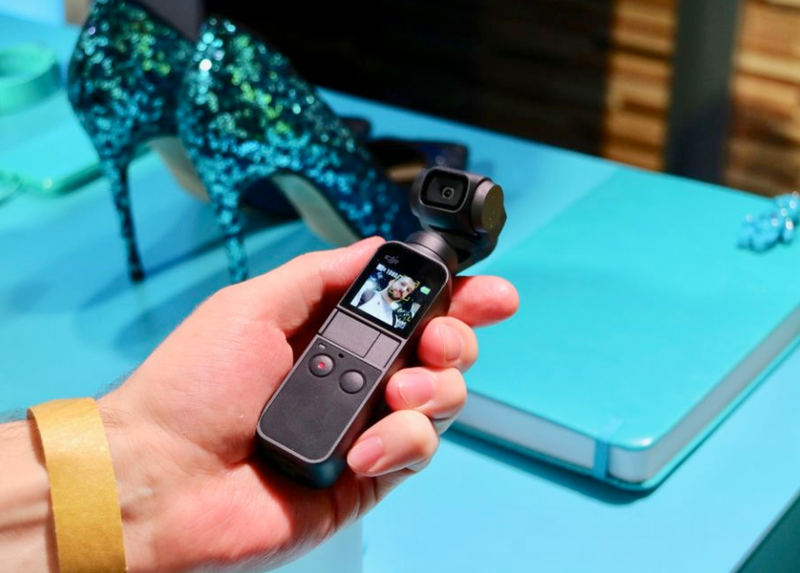 It weighs a mere 119 grams (or about four ounces), has 3-axis mechanical stabilization and a 140-minute battery life (at 4K 30p). 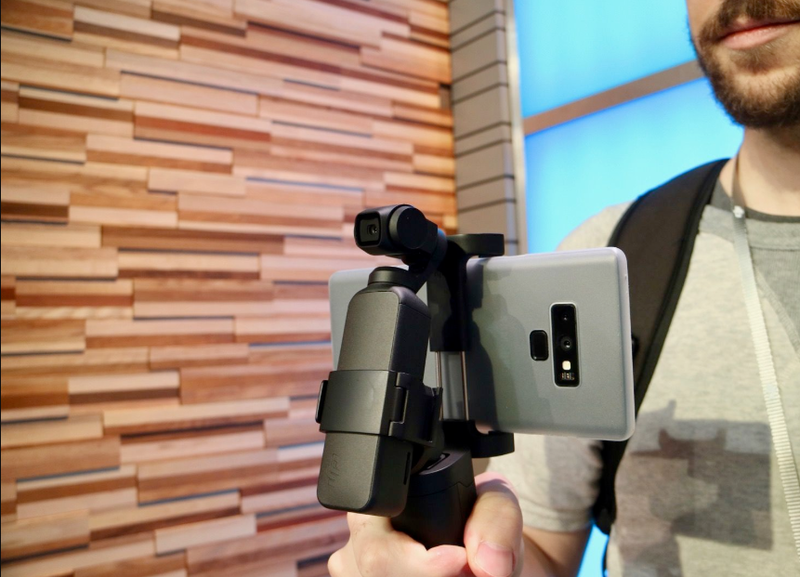 The Osmo Pocket’s handle, naturally, comes with a record button, a USB-C port for charging and a magnetic strip for pairing a slew of accessories, including an Extension Rod, a Wireless Module, a charging case and a controller wheel that gives you remote access to the camera. DJI also made a set of ND filters that you can attach directly to the wide-angle lens, which is powered by a 1/2.3-inch sensor. There’s no 3.5mm audio jack, but the company said a USB-C adapter is in the works, which is great news for videographers. Until then, you’ll have to rely on the built in dual-microphones. An essential part of the Osmo Pocket is the companion Mimo app. This will let you create “cinematic” videos with features such as Story Mode, which can turn a collection of videos into a mini movie that you can watch and share from your smartphone. In addition to helping you edit video on the go, you can use the Mimo app to transfer photos and videos to your phone, as well as control settings including exposure control and time lapses. If you’re looking to take pictures instead of video, the Osmo Pocket offers 4- and- 9-image panoramas, on top of the regular 12-megapixel single shots. DJI says its goal is to combine its hardware and software to offer an ideal companion for creators who are always on the move, who want something more than what the camera on their smartphone can give them. That’s why it’s putting so much faith on the Osmo Pocket’s intelligent imaging features, like ActiveTrack and FaceTrack. With those, the camera can follow particular subjects or lock in on a specific individual. We’ll put the Osmo Pocket through its paces in the coming weeks. But if you’re eager to get one now, you can pre-order from DJI’s site for $349 (shipping December 15th). It’s a little cheaper than its main competition, GoPro’s Hero7, though we’ll soon find out if it turns out to be just as good. For starters, it’s not waterproof (there’s a case add-on), so that’s already an area where GoPro has an advantage.